After being down for amost three days, Libyan Spider is fully back online. SoftLayer has at last realised they did a mistake by shuting down services of an innocent Libyan company. Wishing all our Libyan friends all the issues been resolved soon in their country and beyond. Below goes official statement from the compan's CEO. LS Final.ly we are back, "It was a horrible nightmare"
We have resolved the issue and almost all our servers are back. Big thanks to everyone who supports us. 24 dedicated servers are back except one server whic we lost. Softlayer said it is due to the failure of the primary drive. Over 400 websites were hosted on that server and we are working on restoring them from the backup. Important message to those who use our DNS for .ly domains. If you just find two name server listed there please open a ticket asking to add the 3 & 4 name servers to your domain, please add your domain names to the ticket. For urgent issue call our online number: +1 224 225 4100 or open a ticket using your account with Libyan Spider. The .ly registry whois server is also back online. New orders can now be created and registered by yourself. This includes managing and updating your whois and DNS. 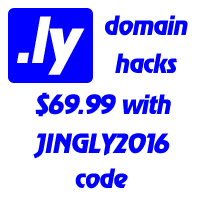 You should now be able to create and register the .ly domain yourself. You will no longer need to create a ticket to manage, update or register your .ly domain. have a contact address in Libya. – Go to My domains. – You should be able to see the link to rnew your domain on that page. please let us know if you need further assistance. We thank you again for your patience and support.